Women who shatter glass ceilings, break stereotypes and lead fearlessly have one thing in common: an unrelenting focus on following their dreams. At the age of seven, one girl was living in the most troubled boroughs of New York, dealing with an alcoholic father, a distant mother and the newfound knowledge that she had juvenile diabetes. She needed her family to give her daily insulin shots but neither her father nor her mother had the steady hand to help. That’s when this little girl started practicing injecting on an orange so she could self-administer the shots and take her health into her own hands. A few years later, the same self-reliance and focus came to use when her father passed away and her single mother struggled to take care of her family. That little girl from the Bronx was Sonia Sotomayor. Today, she is not only the first US Supreme Court Justice of Hispanic heritage but also only the third female to attain this powerful position. While passion and persistence led her to Princeton and Yale for an Ivy League education, things weren’t easy for her. Despite getting distinctions, prizes and honors at top-tier universities, she still found it hard to fit in with her peers who came from affluent backgrounds. But she used those isolating experiences to form new networks and mentor underprivileged students like herself. When she headed for her first job interview, an elitist employer dubbed her “undeserving” and “culturally deprived.” The rejection and discriminatory attitude displayed by the employer pushed her to file a formal complaint. And neither the criticism nor the controversy that followed dissuaded her from the decision of filing that complaint. Soon after graduation, all her peers from Yale signed up to work with fancy law firms. 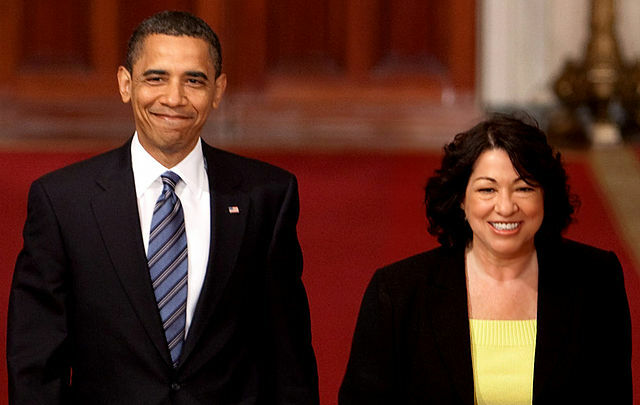 But Sotomayor had her heart set on the public sector and decided to work at the New York District Attorney’s office so she could give back to the community. At the age of 36, she was offered the position of federal district court judge which eventually led her to become a US Supreme Court Justice today. Whenever Sotomayor felt like she was struggling or losing focus, whether at school or her workplace, she wasn’t afraid to ask her classmates, mentors, teachers, colleagues or friends for help. Whether it was reaching out to the smartest girl in for studying techniques or asking her mentor for volunteering opportunities, Sotomayor persisted in bettering herself in every way and learning from other people’s experiences. Are you bettering yourself and fueling your personal growth? One of the best ways to stay focused, improve your concentration, and learn about others is through regular reading. But when you’re tired after a full day of work and the choice is between Netflix and a book–we know what wins! But what if you could read an interesting book and also get the time to relax with your favourite TV show? Blinkist makes that possible with its learning app that transforms the world’s best nonfiction books into 15 minute reads. Read about communism during your boring commute, leadership skills over lunch, and impress your dinner date with your knowledge about telepathy. And if you like to listen and learn, rely on Blinkist audio to read the text to you. We’re committed to transforming you into a lean mean learning machine. Now—get out there and smash some ceilings. Saba Khalid is a Pakistani journalist living between Karachi and Berlin. She’s been working on women empowerment in her country through her website Aurat Raaj. Her dog Travis, a strong cup of coffee and planning her next big vacation get her through the day!